Think something's priceless? Several hundred million dollars just might change your mind! 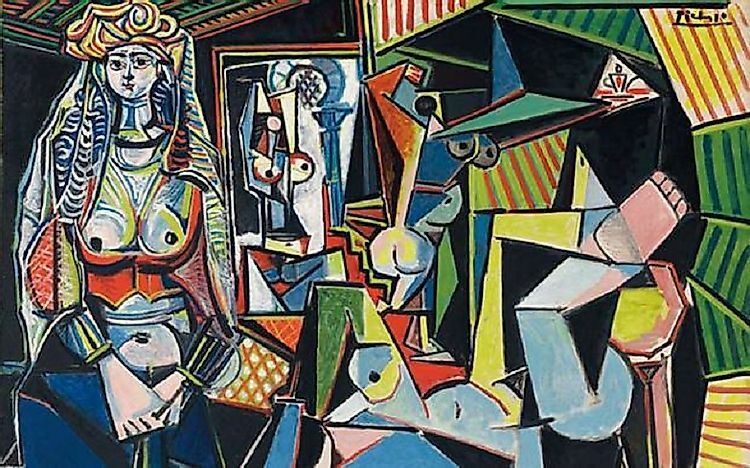 Les femmes d'Alger “Version O", which was auctioned off for $179,365,000 in 2015. The following list of luxury items and works of art are definitely leading the market in terms of price and standard. These are some of the most expensive items to ever cross an auction block. The 1933 Gold Double Eagle Coin is the fifth in the list of the most expensive items ever auctioned. Sotheby's Auction and Stack's Numismatic sold at auction the 1933 Gold Double Eagle Coin for the sum of $7,600,000 in 2002. The coin was the idea of Theodore Roosevelt who wanted a US coin similar to the Greek coins of antiquity. However, due to the looming difficulties in the banking sector, President Franklin Roosevelt ordered the coins to be melted down into gold bullion. A few survived, but are considered illegal, as they were never put into official circulation. On August 15th, 2014, a 1963 Ferrari 250 GTO Berlinetta was auctioned, and sold for $38,000,000. It was the highest ever paid for a Ferrari or any car at that time. The car belonged to Jo Schlesser, a French racing driver. Bonham's auction sold the car adding that the expected price was in the range of $30 million to $40 million. The car was one of only 39 of that same model ever manufactured. The auction sold nine other cars, all Ferraris, which also fetched near-record amounts. The total of the 10 Ferraris sold at that particular auction reached $65,945,000. The Blue Moon 12 Carat Diamond is the third most expensive item ever auctioned at $48,500,000. The flawless stone which was mounted on a ring weighed 12.03 carats and has a fancy vivid blue grade. Its blue color is due to the boron found in its structure. The uncut stone was found in the Cullinan mine near Pretoria, South Africa in 2014. The New York jeweler Cora International was the seller. It was sold by Sotheby's Auction to a Hong Kong magnate that might have also bought a rare pink diamond at $28.55 million at Christie's the previous day. The artist Jeff Koons' Balloon Dog, made out of polished orange stainless steel and standing at 12 feet in height, sold at an auction at Christie's for $58,405,000. It was the highest paid work of art for a living artist of contemporary art. Koons began the process of making the Balloon Dog artwork in 1994 and finished it in 2000. There are four other versions in yellow, red, magenta, and blue. The sale was part of the “Post-War and Contemporary Art Evening Sale that took place on November 12th.” The beneficiary of the sale was the Brant Foundation Art Study Center.